Tomorrow, the 1st of May is going to be a huge day for film lovers. 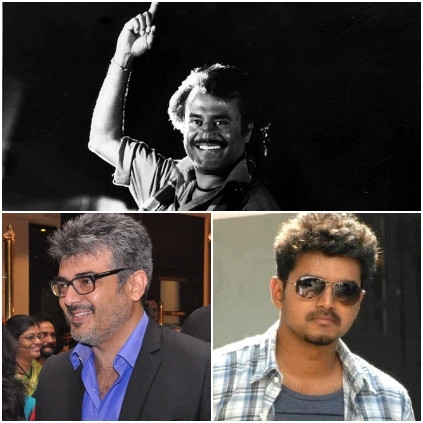 It is going to be such a happening day that it would satisfy the fans of three of the biggest K-town stars Rajini, Ajith and Vijay. The teaser of the most expected film of the year Kabali will be finally unveiled. The expectations for this superstar film are skyrocketing and we hope that this 65 second long teaser satisfies all the humongous expectations bestowed upon it. May Day is generally famous for one particular reason in Kollywood and that would be Thala Ajith’s birthday. He has delivered some hit films on his birthdays in the past. Though he will not be having any releases this year, his fans however will be in full form celebrating his birthday. Vijay’s Theri will finally hit the prominent screens of Chengalpattu district from May 1st, which were left out earlier, Many fans were in disappointment mode that they could not see the FDFS of Theri at one of their favorite theatre halls, Vetri Cinemas. For those disappointed fans, Vetri theatre has organized a special Dolby Atmos screening of Theri on May 1st at 8am early morning show. It must be noted that Ram Muthuram cinemas (Tirunelveli) has also organized a similar special show celebrating the success of Theri. Suriya on a vacation ahead of 24's release! People looking for online information on Ajith, Kabali, Rajini, Vijay will find this news story useful.